Here’s one of the stories from the Tales of Promethea anthology. Those of you who have the RPG supplement Resistance will recognise it, of course. 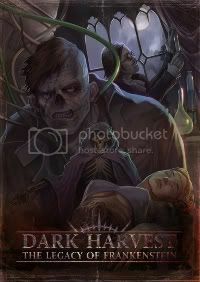 For those of you new to the whole Dark Harvest: The Legacy of Frankenstein ‘thing’ and are curious about the setting and about the anthology, it’ll give you a good taste of what we’re up to. Included in the download is a glossary of terms and other relevant details of DH:LoF. There are three versions of the download, hopefully covering pretty much all the e-reader types. Further details of the anthology, and three other excerpts from stories from the book, can be found in the Interviews section of the site.